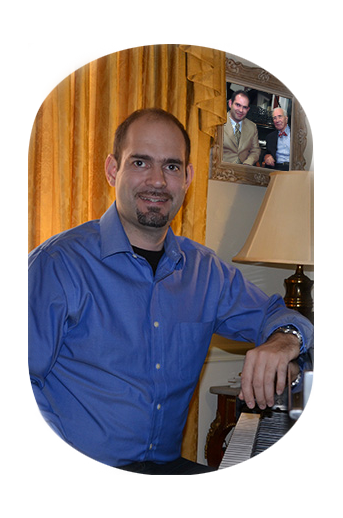 I employ the latest advances in aural and digital tuning technology, and strive to give your piano the best sound it is capable of producing. Most pianos have 230+ strings, and take approximately 90 to 120 minutes to tune, provided that the piano was in a reasonable state of tuning to begin with. If the piano is in an unstable environment or has not been tuned in a long time, it may need a pitch raise, which is essentially an initial tuning required in order to make a second 'fine' tuning possible. A pitch raise carries a separate charge, which varies based upon the pitch of the piano. According to Baldwin, Bechstein, Conover Cable, Kawai, Knabe, Kohler & Campbell, Pearl River, Samick, Sohmer, and Yamaha, their pianos should be tuned at least twice per year, while Young Chang recommends at least one tuning per year. Steinway recommends that their pianos be serviced three to four times per year. To put this into perspective, consider the fact that a concert piano is tuned before each performance, as are pianos in recording studios. You are the final judge as to how often your piano should be tuned, but keep in mind that it is climatic changes, rather than playing frequency that affects the tuning stability of most pianos. The preceding tuning recommendation information was paraphrased from a Technical Bulletin published by the Piano Technicians Guild, Inc. The air inside most homes is very dry during winter months because heat tends to dry out the air. The ideal humidity level for a piano is 42%, and anything below 35% or above 55% will have a negative impact on your piano. You may notice sluggish keys or other problems. If you like keeping windows open during mild the months of the Spring or Fall seasons, it can really take a toll on tuning stability, not to mention, corrosion on the strings, and the effect on felt parts. In fact, I would not at all recommend opening a window in the room where the piano resides, unless the humidity level outside is below 60 percent. The Dampp Chaser® Piano Life Saver® system has been proven to be most effective for both upright and grand pianos and provides a stable environment inside you piano throughout the year.